Kenny G in Montreal or Quebec City? Inform me about the next events for Kenny G.
Enroll yourself to our priority waiting list for Kenny G to be alerted when new tickets are available. Filling this form doesn't engage you to any purchase. Famous saxophone player Kenny G is coming to Montreal for a concert at the St-Denis Theatre, in Montreal, on December 11th, 2017. 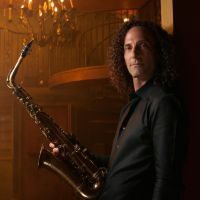 Just two weeks before Christmas, Kenny G will be stopping by Montreal to play some of the nicest holiday hits from his album Miracles : The Holiday Album as well as his many hit singles from the past ! Don't miss Kenny G's return to Montreal !